Novastar is a Belgian band popular in Belgium and the Netherlands. The band Novastar is known for its deep, emotional ballads, and the pure, high voice of Zweegers. Novastar was the winner of Humo’s Rock Rally in 1996. The self-titled debut album Novastar was not released until four years later, in 2000, but with success. The album, produced by Wouter Van Belle and Marc Bonne, was released by Warner Music, reached #1 of the Ultratop Chart in Flanders and Novastar was awarded a platinum record. Singles “Wrong”, “The Best Is Yet to Come”, “Caramia” and “Lost and Blown Away” received much airplay. Novastar was honored as best album at both the Zamu Music Awards and the TMF Awards. Neil Young heard Novastar’s music, and was impressed. He invited Joost and his band to open up for his Neil Young & Crazy Horse live show on several European tour dates. 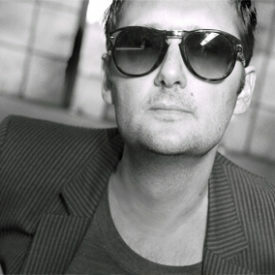 Although Joost Zweegers described Another Lonely Soul as “more emotional and less suited for the radio”, the album was an immediate success. Just as the debut album, the new cd topped the Ultratop album chart and was awarded a platinum record and the TMF Award for best album. Joost Zweegers also received the Zamu Music Award for Best Singer. Singles Never Back Down, When the Lights Go Down on the Broken Hearted and Rome got a lot of airplay in Belgium and the Netherlands. With ‘Never Back Down’ receiving major airplay in Italy, Spain and Portugal, this time the ‘new star’ is rising in other parts of Europe as well. Novastar toured through Belgium and the Netherlands in clubs as well as on festivals like Pinkpop, Rock Werchter, Dour and Lowlands. In 2005, Novastar signed with the EMI record label, which released the album Another Lonely Soul (supplemented with the debut album-single “Wrong”) in all European countries. Then tragedy strikes. During a show in Vorst Nationaal, Zweegers stumbled off stage and crushes his heelbone. Total rehabilitation will take two years at least. In the last months of 2007, Joost took his old compadre and keyboard player Jeroen Swinnen along to Bangor, a small picturesque village near the coast of Brittany, France to write songs. Back home he called Wim De Wilde, a well known Belgian soundtrack composer to ask him to produce the new Novastar album. They worked together with Kevin Killen (known for his work with Elvis Costello, Peter Gabriel, U2, Bryan Ferry and Kate Bush), percussionist Luis Jardim (The Rolling Stones, Paul McCartney, Bowie, Björk, Grace Jones), bassist Laurent Vernerey, pianist Claude Salmieri and many others. The resulting album is called Almost Bangor, an electric and eclectic tour de force of a pop album. The album received a platinum sales status in Belgium and golden status in the Netherlands. Both singles Mars Needs Woman and Because reach the top of the airplay charts in both countries. Novastar received a prestigious 3FM Award for Best Alternative Artist in the Netherlands. After a sold out club tour in the Fall of 2008, Novastar performed in February in a fully packed Antwerp based Lotto Arena and Amsterdam’s Heineken Music Hall. In between the band performed at the biggest festivals in the Netherlands and Belgium as well, including Pinkpop, Cactus Festival, Dranouter and Bospop. 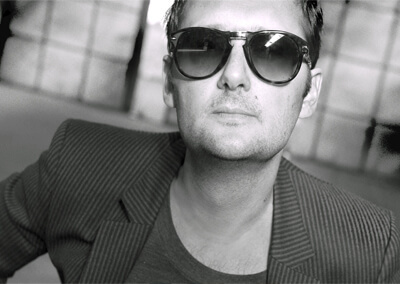 Joost Zweegers spent four years to create his next album called ‘Inside Outside’, which was released by Warner Music in Belgium and The Netherlands on March 28, 2014. He was influenced by many great musicians like Richard Ashcroft (The Verve), Pink Floyd (‘Wish You Were Here’), George Harrison, Paul Weller and even Fleetwood Mac. Joost Zweegers wrote with songwriter Dean Dyson, but also with Andy Burrows and James Walsh for this album. The album was produced and mixed by John Leckie (The Stone Roses, Radiohead, The Verve, Los Lobos, Muse, My Morning Jacket, Pink Floyd, Harrison). Joost Zweegers travelled to the UK for 6 months to record in several studios (Rockfield Studio, Doghouse Studio and Rak Studios). Musicians that were involved in the recordings are Clive Deamer (Portishead, Roni Size), Charlie Jones (Robert Plant, Goldfrapp), Mikey Rowe (David Gilmour, Noel Gallagher’s High Flying Birds), Skin Tyson (Cast, The Strange Sensation) and Steve Berlin. After release the album hit the Belgian album charts at #1 the first day, followed by a sold-out album tour in Belgium and The Netherlands in April and May 2014. First single “Closer To You” topped the airplay charts in Belgium. Follow up single Light Up My Life was released at the end of June 2014 and also receives a lot of airplay. Novastar is currently touring Belgium and the Netherlands during summer season.